How can I stop cats from using my driveway as a litter box? An area the size of a driveway could be problematic if you are trying to stop cats from digging it up. The problem is that once the cat urine smell is there, cats will always be attracted to it. If if is dirt, then I recommend to use rocks or lava rock over the top. If it is small river pebbles or sand, then overlaying it with larger rocks is the only solution unless you either cement it, or asphalt it. Using anything electronic is hit and miss. 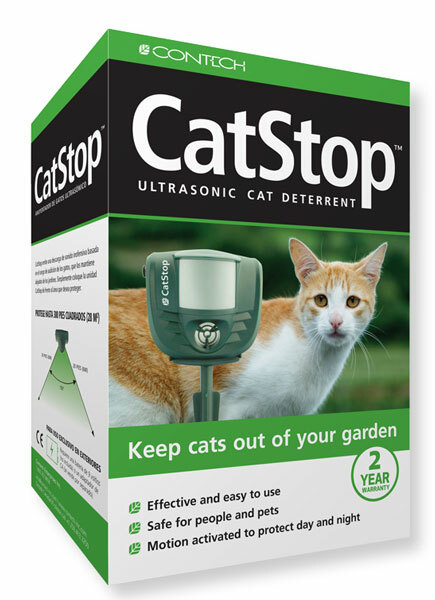 The catstop works on small areas, it probably won't work on an area larger than 10x10 or similar. There is nothing chemical that will last long term as a repellent either. A permanent fix using large size rocks or stones that the cats cannot dig up, or permanently sealing the area with cement, asphalt or similar is the only fix in my opinion.